Drugs worth more than £8million have been seized at the North Shields ferry terminal. Border Force officers found 1.3 tonnes of cannabis resin concealed in a lorry arriving from the Netherlands on February 7. After intercepting the lorry, which had arrived on a sailing from Ijmuiden carrying crates of bark, Border Force officers boarded the vehicle and carried out a search. Several hundred packages of cannabis resin and herbal cannabis were discovered within the load. A 35-year-old man from the Netherlands was arrested and has been bailed pending further enquiries. 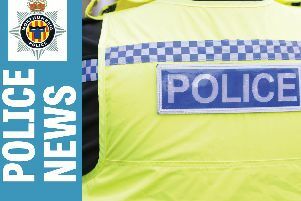 Following the seizure, an investigation is being carried out by officers from the National Crime Agency’s Border Policing Command. Assistant Director Border Force North East Command Christina Brown said: “Cannabis and other illegal drugs are known to be linked with serious and organised crime, which has a devastating impact on our communities. They use an array of search techniques, which in addition to sniffer dogs, includes carbon dioxide detectors, heartbeat monitors and scanners, as well as visual searches, to find stowaways, illegal drugs, firearms and tobacco. Anyone with information about activity they suspect may be linked to smuggling should call the smuggling Hotline on 0800 595000.